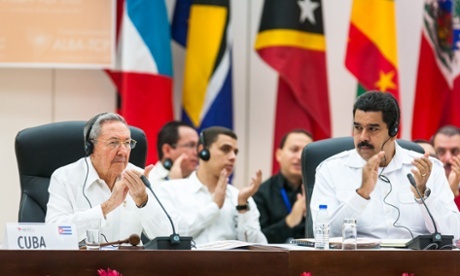 January 14, 2015 -- Rocky Mountain Institute, posted at Links International Journal of Socialist Renewal -- US President Barack Obama’s recent announcement that he wants to begin normalising relations with Cuba generated news around the world. But the Cuban province of Granma may soon be making headlines for another reason: its embrace of renewable energy. 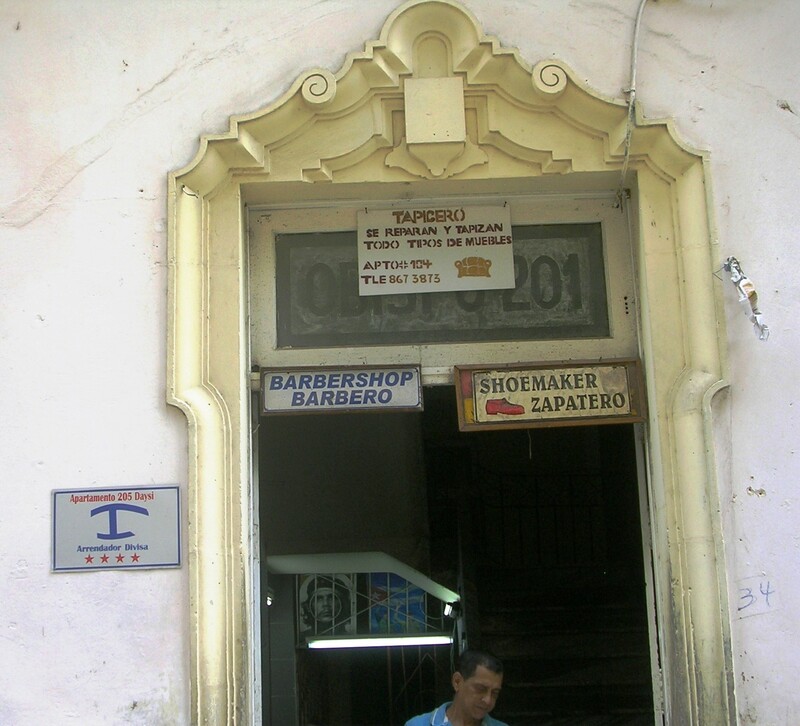 Small businesses in Havana, 2014. 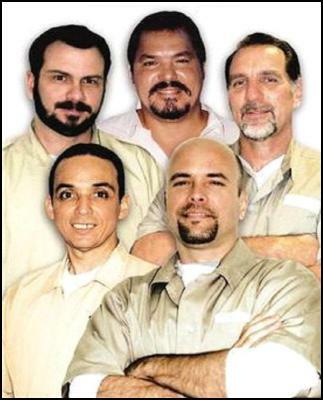 December 29, 2014 -- Life on the Left, posted at Links International Journal of Socialist Renewal with the author's permission -- The release December 17 of the remaining three of five Cubans held for 15 years in US prisons is an historic victory for the Cuban people, their government and supporters around the world. December 20, 2014 -- RT, posted at Links International Journal of Socialist Renewal -- Cuba's leader Raul Castro said the country would not give up its political values for which it has fought. Calling for mutual respect in the new development of relations with the United States, Castro stated Cuba would continue its socialist route. "In the same way that we have never demanded that the United States change its political system, we will demand respect for ours", Castro told Cuba's National Assembly in a session on December 20. Having expressed gratitude to US President Barack Obama for his initiative to open a "new chapter" in the two countries' history by making a decision to lift the blockade, Castro stressed that the US president's move would in no way make Cuba abandon the ideas it has struggled for over half a century. "Cuba is a sovereign country, with its people having determined its path to socialism and its political system by expression of will", Raul Castro said, adding that blood has also been shed to stand for the national ideas. Cuban Five now all free! Will the US blockade of Cuba now end? Click HERE for background on the Cuban Five. December 18, 2014 -- Scoop -- Cubans and many others around the world are jubilantly celebrating the return to Cuba on December 17 of Gerardo Hernández, Ramón Labañino and Antonio Guerrero, the final three members of the Cuban Five to be released from US prisons, in a prisoner swap for US spy Alan Gross. Cuba's President Raul Castro said in Havana that the release of the Cuban anti-terrorist fighters was the culmination of a respectful and reciprocal dialogue, without detriment to Cuba's national independence and sovereignty. In a simultaneous address in the United States, President Barack Obama announced the release of Alan Gross, who arrived back in the United States on December 17 morning with his wife. 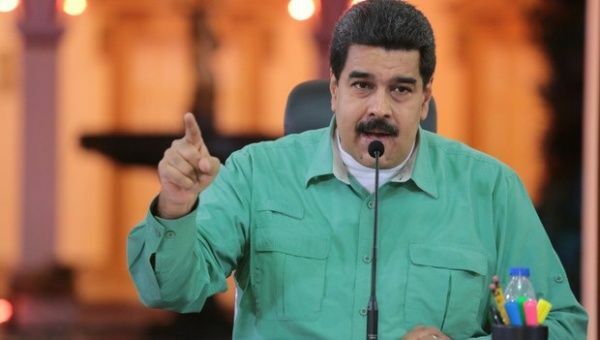 At the same time, both leaders announced a normalisation of relations, including re-establishment of diplomatic relations and an easing of US economic and travel restrictions on Cuba. However, the complete lifting of the 50-year blockade requires US Congress approval. In his announcement, Obama said that isolation has not worked, and it is time to try a new approach. 01.12.2014 -- amerika21.de -- Seit Anfang des Jahres haben zahlreiche Zeitungen vorhergesagt, dass sich ein Niedergang der sogenannten "Pink Tide" abzeichnet. Der Begriff "Pink Tide" wird verwendet, um die Welle von Regierungen links der Mitte in Lateinamerika zu bezeichnen, die in den vergangenen Jahren durch Wahlen an die Regierung kamen. Eine Reihe von ihnen waren bereits wiedergewählt worden und Meinungsforscher und Kommentatoren gleichermaßen erörterten, dass für viele nun ihre Zeit an der Regierung um sei. Stattdessen sahen die Brasilianer am Sonntag, den 26. Oktober, Dilma Rousseff als wiedergewählte Präsidentin eine vierte Amtszeit in Folge für die Arbeiterpartei beginnen. Noch am selben Tag gaben die Wähler im benachbarten Uruguay der amtierenden Frente Amplio (FA) eine Mehrheit in beiden Kammern des Parlaments, und FA-Kandidat Tabaré Vasquez geht als heißer Favorit in die zweite Runde der Präsidentschaftswahlen, nachdem er 49,5 Prozent der Stimmen in der ersten Runde gewann – im Vergleich zu 32 Prozent für seinen zweitstärksten Rivalen. 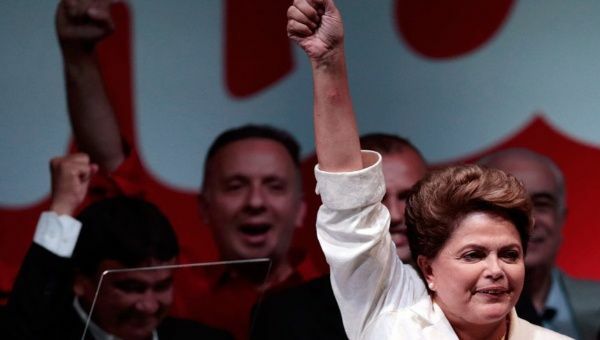 On October 26 Brazilians re-elected Dilma Rousseff as president, ushering in a fourth consecutive Workers’ Party administration. 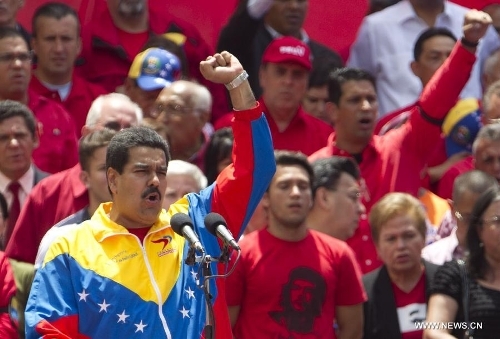 December 7, 2014 -- first published in TeleSUR English, submitted to Links International Journal of Socialist Renewal by the author -- Since the start of the year, numerous newspapers have dedicated article after article to predictions of a looming demise of the so-called “Pink Tide”. The term is used to refer to the wave of left-of-centre governments elected to power in Latin America during recent years. A number of these governments were up for re-election this year, and pollsters and commentators alike argued that for many, their time in government was up. Instead, on October 26 Brazilians re-elected Dilma Rousseff as president, ushering in a fourth consecutive Workers’ Party administration. That same day, voters in neighboring Uruguay handed the incumbent Broad Front (FA) a majority in both houses of parliament, and FA candidate Tabare Vasquez went into the second round of the presidential elections as hot favorite after winning 49.5% of the vote in the first round (compared with 32% for his nearest rival). 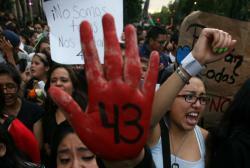 For more on the "extractivism" discussion, click HERE. 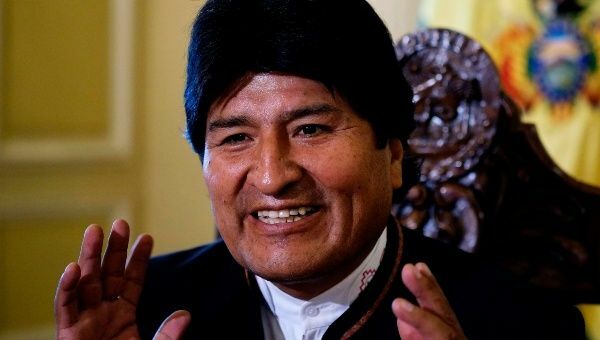 October 31, 2014 -- Links international Journal of Socialist Renewal, a version of this article appeared first at TeleSUR English -- In recent years, a number of important discussions have emerged among and between environmentalists and solidarity activists. None has generated quite as much heat as the debate over extractive industries, particularly in South America. This is perhaps unsurprising given what’s at stake: South America is home to some of the world’s largest and most important natural resource deposits. It is also a region dominated by progressive governments that have taken strong stances internationally in support of action on climate change, while facing criticism at home for their positions on extractive industries.